Will a Clean Cab Get You Better Customers? Home/Blog, Reaching the Consumer/Will a Clean Cab Get You Better Customers? Cleanliness has been said to be important to customers–especially in cabs. 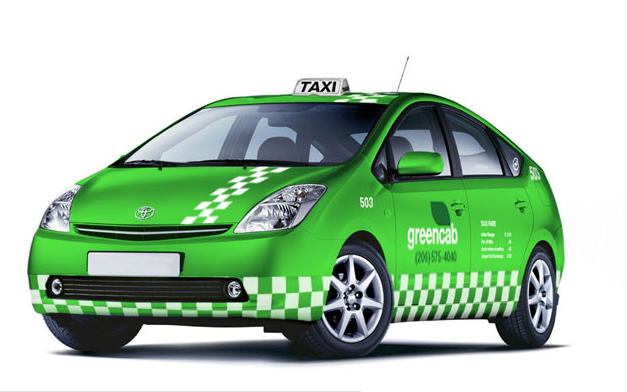 I was driving along the street this morning and saw a sparkling, clean green cab. It had recently been washed and waxed. Inside was a cab driver, clean shaven with a nice haircut and a short sleeved, ironed shirt. I thought: I would ride with him. My experience with cabs has been less than perfect. Opening the cab door can be frightening; everything is dirty, lots of fingerprints on the windows and a scruffy person driving. I don’t know about you, but I”m often afraid to open a cab door. Years ago when I was consulting for The Lowe’s Companies, one of the vice presidents asked me what I thought the salespeople should be doing when they’re not working. I didn’t think long; I thought it was a simple question. “Calling previous customers, “I said. To my dismay, he said, “We prefer they clean the shelves; you know women don’t like dirt!” Maybe he was on the right track. I was consulting with a store owner who had a little dog who wasn’t potty trained. Actually, I would say the owner didn’t really care. The store was high end, but anytime you rounded a carpet rack you might find a surprise. It appalled me, but it didn’t seem to be a problem for the owner. She didn’t see this as a detriment to selling her customers.She said customers understood. I doubt if customers said anything, they just walked out. So is cleanliness important to a customer? We know it is; especially to women with children. Do you mind if the store needs a little paint, and the garbage emptied? I’m bothered when I can smell yesterday’s lunch in the garbage. A colleague of mine, Jackie Ryan, owner of Minding Your Business,” specializes in mystery shopping. Taking a detour from the traditional approach of catching a business doing everything wrong, Jackie looks at it from another angle. “Our approach is to leverage an organization’s strengths by drawing on the culture of the business. This takes into account best practices and key employees. Our goal is to develop user-friendly, and actionable feedback along with measurement tools,” says Jackie. I like using key employees as the benchmark for the business. Someone is already doing it right so why not use them as the standard? You might want to check your windows and doors and see if they’re acceptable. Or better yet, have your employees do it. Actually I think hiring a mystery shopping professional like Jackie is the best idea. One who will look at your business with a critical but loving eye..
Lisbeth helps businesses build loyal customers through customer service and sales training. She can be reached at Lcalandrino@nycap.rr.com. Check for her upcoming entrepreneur boot camp in September. I see the state of the store, both inside and out as a major priority. The way I would look at it is this is my “house”. If I do not take the time and consideration with my house, how do customers think I will treat their home? I would agree with you; it is almost the first impression the customer has of your business. I would say the first is the internet. Thanks for your comment.